Motorola Solutions today launched MOTOTRBO Nitro, a fully managed solution that will leverage LTE technology on the 3.5 GHz Citizens Broadband Radio Service (CBRS) to deliver business-critical voice and broadband data solutions to enterprises. “The unique thing about Nitro is that we’re going to be using the soon-to-be-available broadband spectrum called CBRS that the FCC is in the process of opening right now,” Jerry Gard, Motorola Solutions’ director of engineering for the professional commercial engineering group, said during an interview with IWCE’s Urgent Communications. “We’re going to use this spectrum as our RF medium for this new TRBO network. MOTOTRBO Nitro will operate over both the licensed and unlicensed spectrum that will be available in the CBRS band. CBRS has 150 MHz of spectrum—known as Band 48—and at least 80 MHz of spectrum will be unlicensed, Gard said. The FCC is expected to conduct an auction to let bidders vie for priority access licenses (PALs) within the licensed CBRS airwaves, but the band’s unlicensed spectrum should fulfill enterprises’ needs in most geographical locations in the country, he said. “If you’re outside of a metropolitan area, there’s probably no need for a PAL,” Gard said. Motorola Solutions unveiled the MOTOTRBO Nitro offering during today’s opening of the company’s annual Channel Partners Expo, which is being conducted this year in San Diego. Dealers at the event are being trained to install the “plug-and-play” Nitro systems, Gard said. MOTOTRBO Nitro utilizes different technology and spectrum than a traditional DMR-based MOTOTRBO system that the company has provided to enterprises for years, but the two types of systems are designed to be linked, if a customer wants. “This is interoperable with an existing TRBO system,” Gard said. “So, if you have an existing TRBO system that you’re using, you can basically connect that into a Nitro system and interoperate with your voice and data going forward. It is interoperable [with an existing MOTOTRBO system] and can be complementary. Given the allowable power levels and propagation characteristics of 3.5 GHz CBRS spectrum, a MOTOTRBO Nitro will require many more cell sites than a traditional MOTOTRBO system, Gard said. Layering the two types of networks may be the best approach for some potential customers, he said. Sectors like manufacturing, mining and hospitality—particularly those that are interested in exploring industrial Internet of Things (IIoT) solutions are expected find the the MOTOTRBO Nitro offering most appealing, according to Gard. “This will be one network doing voice and data,” he said. “You can put our devices on the network, or you can put smart devices on the network that support Band 48. So, you can get a SIM from Motorola and put any device on the network that supports the band. Gard did not disclose Motorola Solutions’ pricing of the new Nitro system but provided some context on the cost. But enterprise customers will be able to pay for the expense of a MOTOTRBO Nitro via regular payments from their operating-expense budgets, according to John Zidar, Motorola Solutions’ corporate vice president for North America commercial markets. “One of the reasons why we’re offering it as a managed service is that we’ve heard from numerous customers—especially in the commercial space—that they want to avoid a large capital expense or a lumpy project that they have to plan a budget for,” Zidar said during an interview with IWCE’s Urgent Communications. Gard echoed this sentiment, noting that an enterprise could begin a MOTOTRBO Nitro system with just a couple of access points and then expand the system as needed in the future. Although a MOTOTRBO Nitro customer does not have to deal with the day-to-day maintenance responsibilities, the customer owns the private network, so an enterprise can enjoy the type of network control that they would have with a private LMR system, Gard said. Ken Rehbehn, principal analyst, Critical Communications, IHS Markit Technology, cited the unique approach that Motorola Solutions is pursuing with the MOTOTRBO Nitro offering. 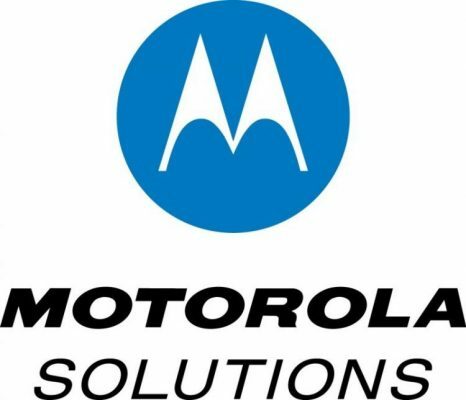 “Motorola Solutions’ Nitro offer provides a distinct departure from classical approaches towards private mobile radio deployments,” Rehbehn said in a prepared statement that appeared in a Motorola Solutions press release.